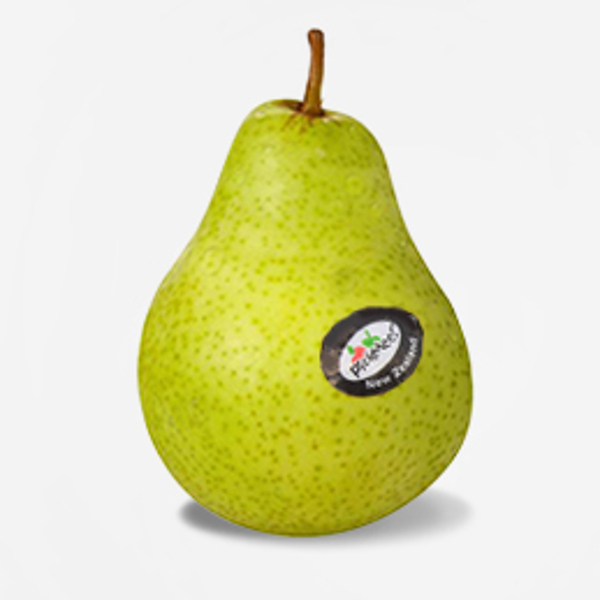 A wide-bottomed pear, the Packham pear has green skin that ripens to a light yellow. The large pear is irregularly shapedand leans to one side. Its skin is covered in tiny, russet lenticels. 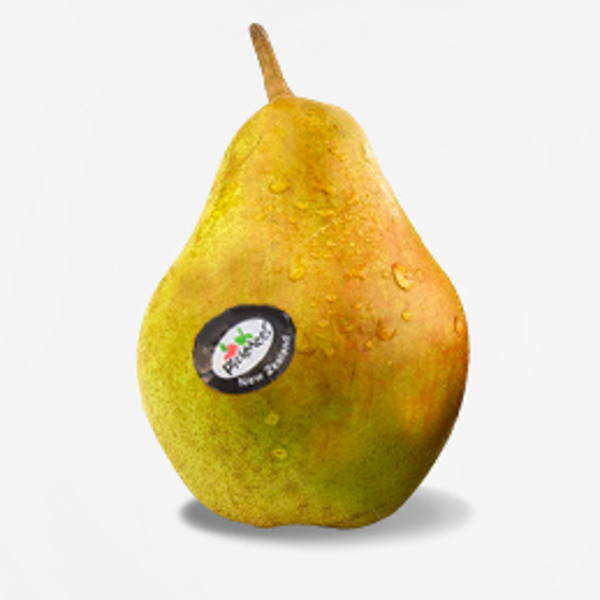 Packham pears have a sweet and juicy white flesh with a smooth texture. The skin is a green-yellow colour with some rusetting. When you hold it in the hand it feels quite heavy because of the high water content. The taste is sweet and very full. The flesh is very soft and melts in the mouth with no hint of crunchiness.